I have used a diet in my office that has not changed much in 30 years, and I often tell patients it's the most bang for the buck they will ever find - because it costs almost nothing but the price of basic and simple foods. You may have been on an elimination diet yourself - many patients I see have. And it may have failed. Why is that? Most practitioners use elimination diets based on a few foods, and many patients feel they might be allergic to dairy products, for example, so they eliminate them for a period of time. This is called a "single-elimination" diet. Unfortunately, diets like this are usually doomed to failure, except for very young children or infants. Most people with non-classic food allergy - the type 95 % of people with food allergy have - are intolerant to many foods, not just one or two. It's just the nature of the beast and the way the body works. So when you eliminate only one or two - or even three - things from your diet, it will likely not cover all of the bases and you will feel no better or only a little better. To have a valid test you must try a multiple food elimination diet. Our multiple elimination diet eliminates most foods to which most people are sensitive. The odds are excellent this will work for you, and I can tell you from experience that it is the best tool available to feel better quickly and go on to identify the foods that are making you ill. The diet eliminates sugar, wheat, dairy and a number of other foods that are most often the culprits I see causing problems for our patients with many illnesses, or who just feel fatigued. I advise patients to follow it for one month before they reintroduce foods. The diet is difficult, but it is not meant to be permanent - only 30 days. You can eat all you want, you will lose weight, and you will feel better. This all for the price of foods you can purchase anywhere. 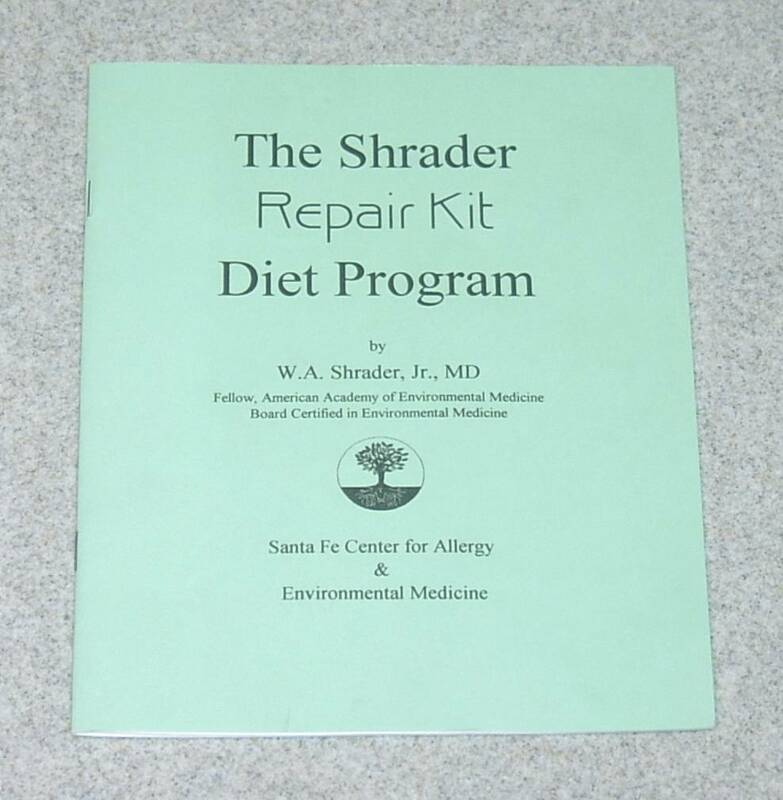 If you'd like to try this diet, it is available from our office (505-983-8890, Visa or Master Card). I use this diet for many of our patients, and I can promise you that you will be amazed. $10.00 per copy, includes shipping. 21 pages.